How Your Shedule Tweets Goes Spam? Scheduled tweets are my jam. They also keep me servicing several clients 15+ hours a day, 7 days a week. Without scheduled tweets, I’d be shackled to my phone or computer and spend countless hours tweeting. Not productive. Not scalable. Just. Not. Fun. And while automation can certainly make those tedious tasks much easier, how far can we take automation (and scheduled tweets) before it becomes spam? Let’s start with the how, because I know sharing processes can really help those who may just be starting out. 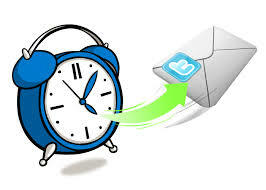 I can also share directly (immediately) or schedule my tweet(s) to go out at later times. I use “If This Then That” to schedule my top trusted blogger content. Which is to say that sites like this one are always producers of amazing content and I trust them enough to automatically share their new posts to my Twitter stream. 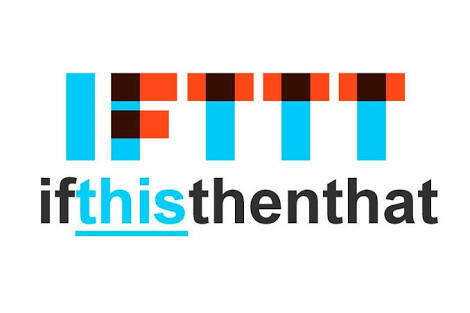 IFTTT has a recipe that allows me to plug in an RSS feed and then share any new posts upon publish. Voila! I don’t even have to think about sharing the content of my fave peeps. I can also send out my own blog posts to my business and personal streams. Sprout Social is my social dashboard homie; I’ve been using it professionally for more than four years. The queue allows you to pop tweets in and “queue next” or “queue last” — which is cool, but it’s not the best part. This means for myself (but mainly our clients) I can ensure we have a steady stream of scheduled tweets going out, AND that they’re going out when they’re most likely to be engaged with. So now that you understand the how, let’s look at the WHY just scheduling these tweets and using automation could be seen as spam. Yes, I just showed you how I used automation and scheduled tweets for myself and my business.Because automation makes it SO easy to “be present” (make sure you make air quotes around being present) we often forget to, well, be present. The difference is that I make an effort to respond within a certain amount of time. Personally, that means as soon as I can and professionally we try to respond within 3 hours (or ASAP if something comes in while we’re sleeping). We pride ourselves on being present. But because automation makes it SO easy to “be present” (make sure you make air quotes around being present) some of us often forget to, well, be present. I see plenty of accounts with a firehose of content going out and little to no interaction or engagement. Once someone “likes” it, comments on it, mentions it, retweets it, etc., you’re supposed to respond. Right? So for the non-responders, doesn’t that mean they’re using Twitter as a broadcast platform? And if they’re scheduling tweets but not following up, isn’t that spam? Maybe I’m overthinking this, but as automation and robots take over “doing” the human element of things, where do we draw the line with what’s real, what’s worth connecting with, and what’s just plain spam? Scheduled tweets are still a representative of your brand. Shouldn’t you be doing more than simply broadcasting? Previous Post Are You Happy With Customer Reviews? Try This For More Positive Reviews.